We we are back at school. We have actually been for three weeks now. We have divided the school year into six, six week blocks and alternated science with social studies. I am realizing just how fast those six week blocks are going to pass. 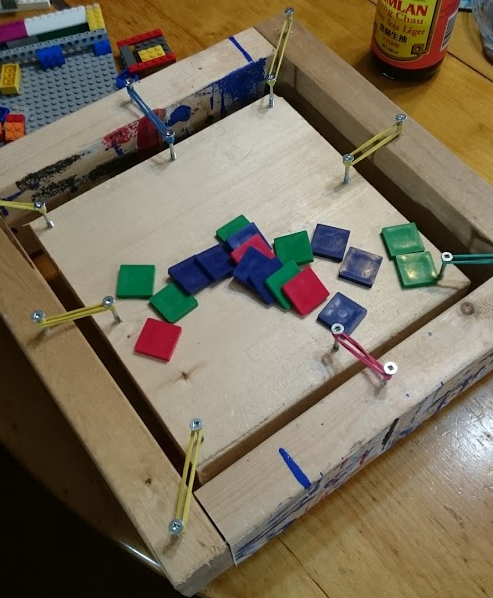 I need to make sure that we have stuff to show for each block. Ian is studying structures this block he had a number of questions. How do buildings survive earthquakes? Volcanoes? Hurricanes? Tsunamis? How long does it take to build a building? We discussed that size would have an effect on that answer. He then named off a number of buildings. Most he has seen built in Minecraft. We have watched a number of documentaries on buildings including on the advances that allowed us to build higher, building the Burj Khalifa, Building to survive an earthquake and one on building hurricane proof houses. 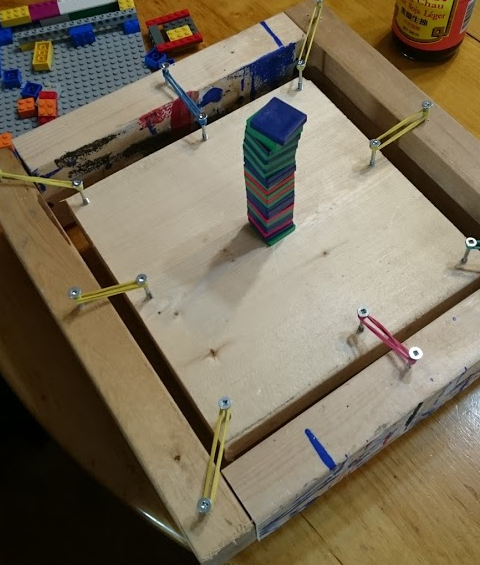 The fun part is we build an earthquake table where he has been testing to destruction structures he has built out of lego and Keva blocks. It is interesting that you can somewhat replicate the different types of earthquakes. If you push down you get an up/down motion, if you pull it to the side you get horizontal movement. He found that some structure survived one but not the other. Last weekend we went to our local Catholic Family Camp. It was good community building and I had a number of good talks. 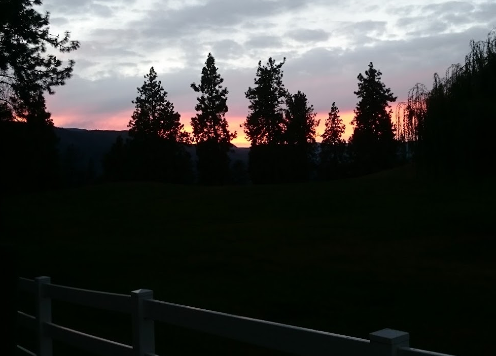 We were also treated to a beautiful sunset. 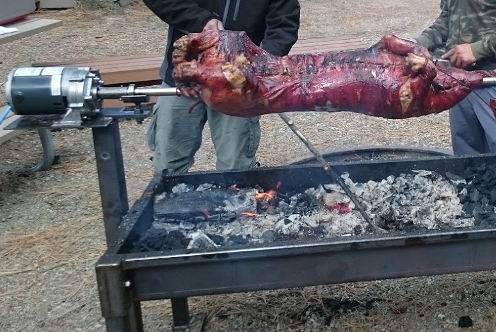 On Sunday our local Filipino community roasted up two whole pigs. It was absolutely delicious. We have new learning outcomes this year which is driving the teachers in the public system a little crazy but for me they are closer to what I do anyways. It is meant to be more student led learning and demonstrations of learning rather than exams. One new course we have although we have always done it is Applied Skills. 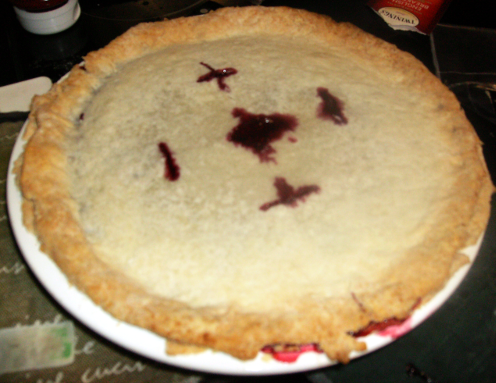 So far Margaret has made a Raspberry Pie and Rice Crispie squares. We also have a Raspberry Pi on order. She will do some programming on it. We also finally got around to celebrating Everyone’s birthdays. I got surprised when friends came over with an yummy Ice Cream cake. It was a wonderful surprise but it did make me feel a tad guilty about how overdue we were in celebrating the kids birthdays. Philip went with a friend to the IPE (local fair with rides) The rest of us and some friends went to the movies and for ice cream. The movie was Kubo and the Two Strings and it was excellent. I highly recommend it. Time to get caught up again. This is going to be a mix of highlights and the most recent. Basically what ever I can remember. On Sunday we will present our year end portfolios effectively bring an end to the school year. We have a couple of things planned in the way of field trips and there is somethings to get caught up on. As always we will have some educational aspect to our summer as well. 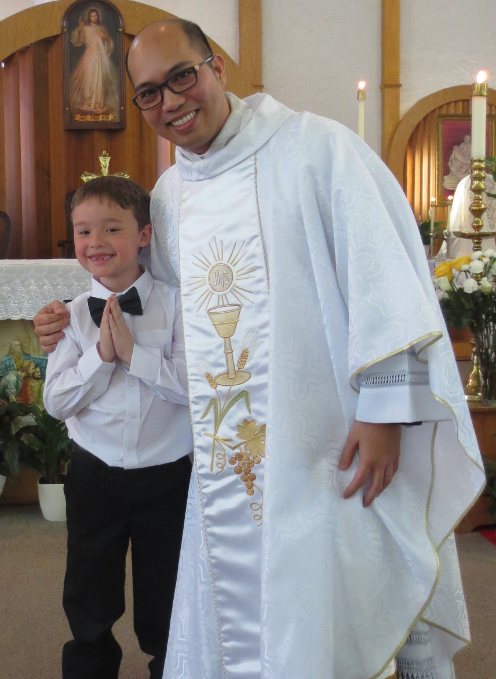 First we had Ian’s first Communion. Here that happens in the grade two year of catechism. 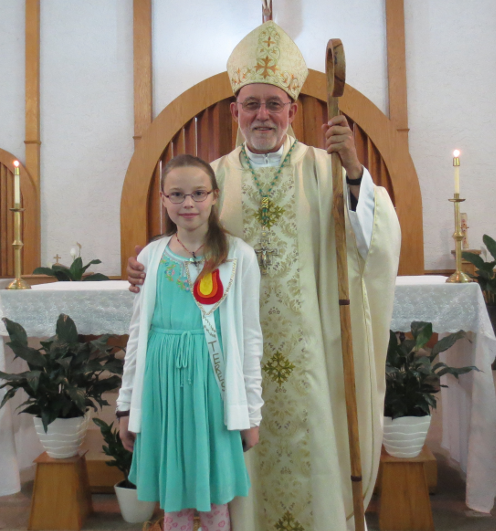 Second Margaret had her Confirmation. She chose Theresa her confirmation name after Mother Theresa of Calcutta. She asked if she could use the name since Mother Theresa was in the process of becoming a Saint. 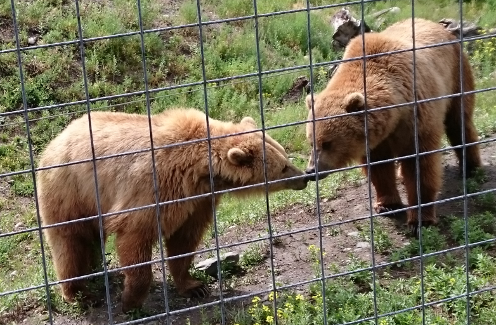 Our year end trip for Beavers was to a Wildlife Park about 2 hours north. All the animals are rescues that were not going survive in the wild. 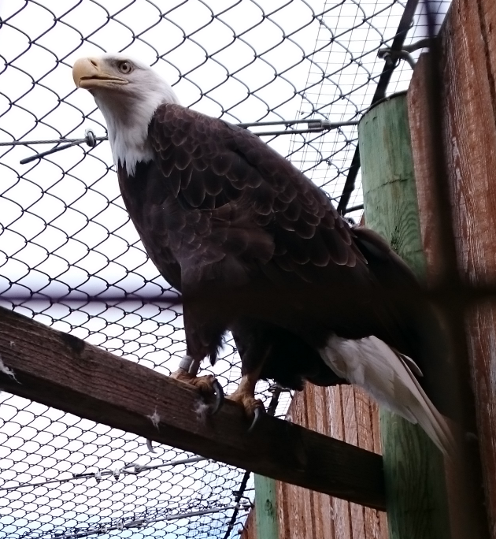 As an example the two Bald Eagles had run ins with trucks and can no longer fly. We don’t know how they ended up getting hit. At our old house we had to drive a couple of kilometers on a dirt road. 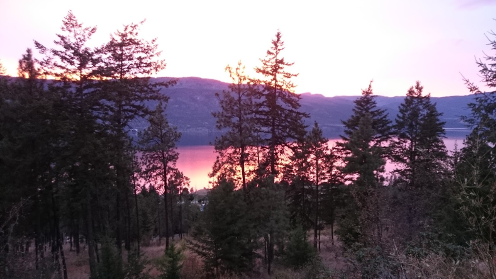 There was a large owl that if we were just after sunset would sometimes appear above us. He would silently glide just in front of us. We figured out that he was using us to flush prey out of the grass. 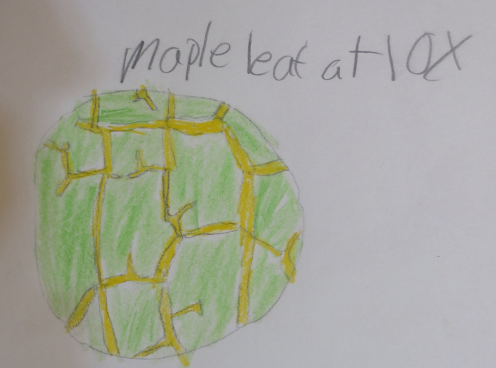 Margaret has been working through a microscope book and did a wonderful drawing of a leaf under 10x magnification. She also did Classification tree with the animal that we took pictures of at the aquarium. They had year end performance at the music studio we go to. They have all done very well this year. Grandpa has been taking them on Thursdays to do some art with them. This has been a great resource for them. Both have produced some wonderful pieces. 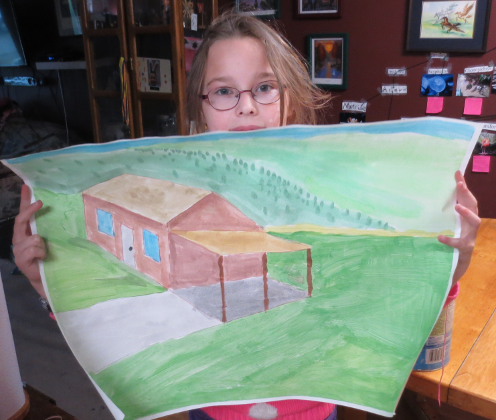 I particularly like the exercise on perspective that Margaret did. Spring has arrived here on the west coast. 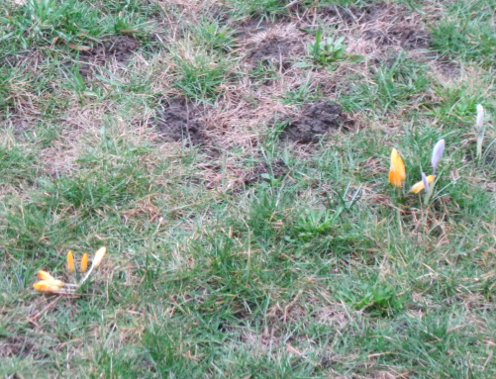 The crocuses in the front yard have popped up. 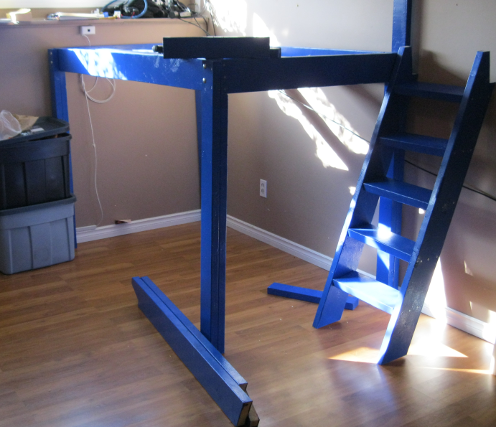 The last two weeks have been mostly focused on getting the loft beds moved. We are planning on completing the move today and I will will take pictures of the move. 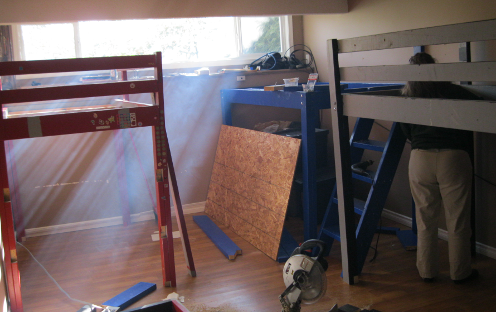 We have a lot to do today with the loft beds. 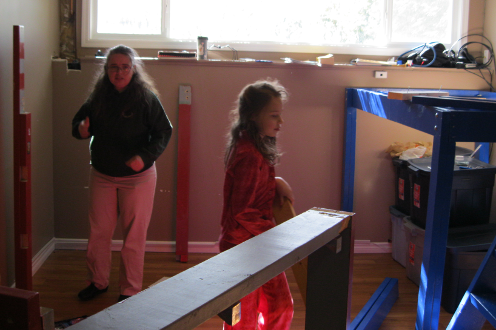 We have to disassemble the current ones as they will not fit through the door. Reassemble them in the new room and add connecting platforms. Later we need to add shelving but the priority for the day is to make sure there is somewhere for them to sleep tonight. We got them to sleepable tonight. There is still a lot of work for tomorrow and maybe next weekend. We did two field trips this week. The first was as a reward for good report cards the second because someone arranged an event. The first was our semi local science center. It is about 45 minutes away, basically the next city over. The kids have fun at it but it is quite small and we have seen most of it before. It now has a transverse rock climbing wall where you climb up a bit and then have to cross the room without touching the floor. It has one section that juts out. It took the kids a couple of tries to complete it. We went out to lunch and I decided to try a new place called Eatology that had good reviews. It is locally owned. Everything was fresh and delicious. I got bit off each of the kids plate. Philip had a burger, Margaret and Ian had Waffles and I had Corned Beef Hash. We all had hot chocolates with coffee flavored whipped cream on top. Yummy. The kids ate some of the whipped cream with their waffles but they didn’t finish it. I did, Guilty. On Thursday the older two went to a program on Egyptology. They again had a great time. They learned lots and came home with an orange that they are hopefully mummifying. 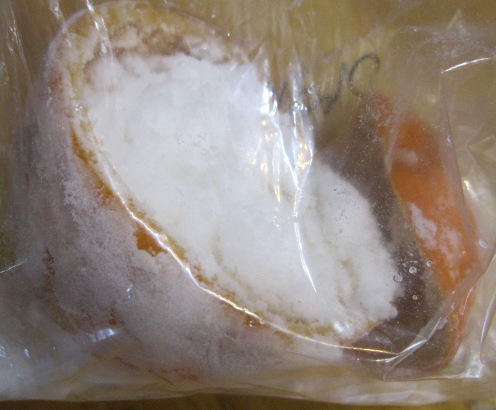 They took out the center leaving only the peal and put it in a mixture of salt and baking soda. I finished the third book in the “Howl’s Moving Castle series”. The first remains my favorite but as with movies the third was better than the second one. All were excellent but I found the main character of the second to be a little annoying. I fell asleep with the book still in my hands and had to backup several pages in the morning as I had clearly missed some key points. After I went in a desperate search for more books, short stories or at least hope of more material in the world. There isn’t anything. I guess I will have to reread them but I have other books on my shelf that I have not read yet so those are first.